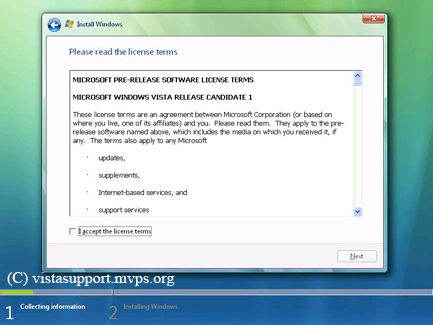 A full retail copy enables you to install the operating system on a computer that does not already have an operating system installed. 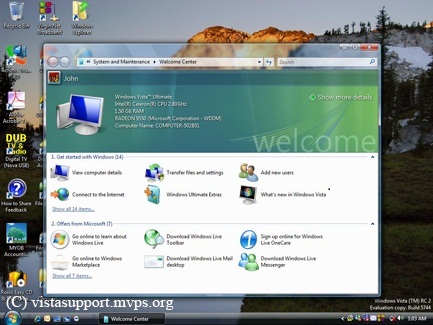 If, however, your computer already has an operating system installed, i.e., Windows 2000, XP or 2003 Server, it may be more practical, and less expensive, to actually use an upgrade copy of Windows Vista. Upgrading the operating system is pretty straightforward; the only annoying aspect is the time it can take. In some cases an upgrade can take as little as ninety minutes, in other cases it can take several hours. the upgrade instigated for this particular walk-through took in excess of 3 hours on a 2,8Ghz Pentium 4 with 1.5GB RAM. From a walk-through point of view simply having a numbered sequence of steps explaining what should be happening is not particularly constructive. it is for this reason that I have taken the time to collect relevant screenshots, so that you are not only told what should be happening, but that you can also interact with what is actually displayed on your monitor screen. 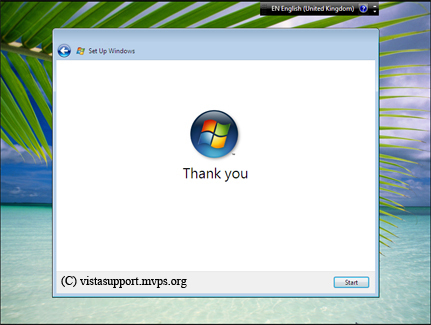 hopefully this approach will be more beneficial to those wishing to upgrade their machines to Windows Vista. I said earlier that upgrading the operating system was pretty straightforward, and it is. However, as with anything, there is always the potential for something to go wrong. With this in mind I would suggest that, prior to upgrading, you take the opportunity to make backup copies of any important files or documents you have stored on your PC. This is merely a precaution - better to be safe than sorry! So now let's begin the upgrade sequence. 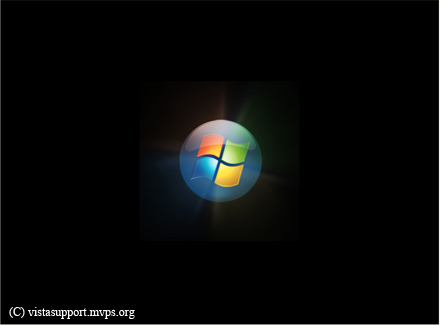 1/ Boot your PC to your current operating system. 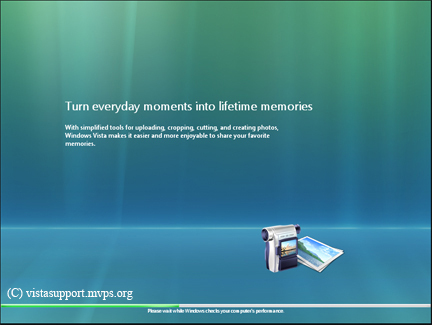 2/ Insert the Windows Vista upgrade DVD and let it auto run. 3/ The compatibility and install screen appears. 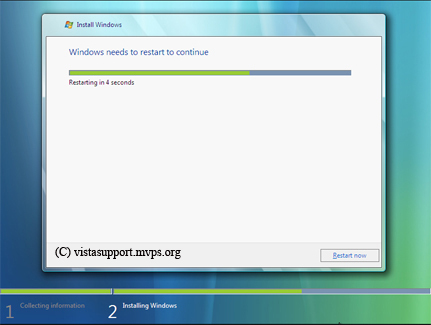 4/ While Vista will automatically check for compatibility during the upgrade sequence, it may be prudent to run the compatibility check before proceeding further. 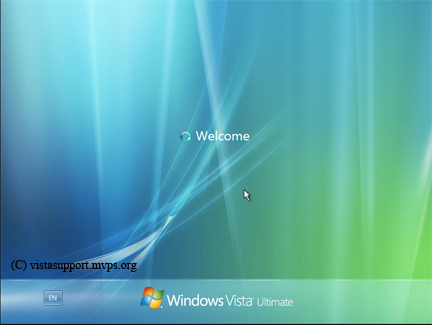 Not all applications and hardware a compatible with Vista and you may require updated drivers or software updates. By running the compatibility check now you will bee of any short comings in your current hardware and software setup, and can take the appropriate action. 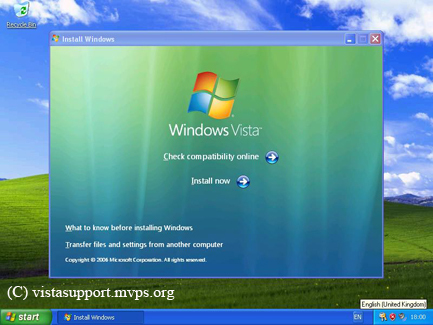 If the compatibility issue is software related it may be wise to un-install the particular application to prevent problems after Vista has been installed. 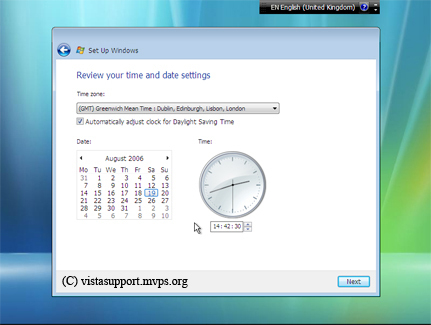 If there is a hardware problem, you can check with the hardware manufacturer to see if a Vista driver is available. 5/ After checking for compatibility and taking the necessary action, Click the Install Option to start the upgrade. 6/ A Blue screen now appears with the legend, Please Wait. 7/ After a short period the screen changes and you have the option of Downloading Important Updates for installation. If you are already connected to the internet, Click the option to download any updates. If you are not connected to the Internet at this time, Choose the option to Update later. 8/ After you have accepted or refused the option to download updates, the Windows End User License Agreement (EULA) appears. Accept the license agreement to continue. 9/ The next screen asks What type of installation you want. Choose the Upgrade option. 11/ After the compatibility check has been completed, you will be presented with a compatibility report. 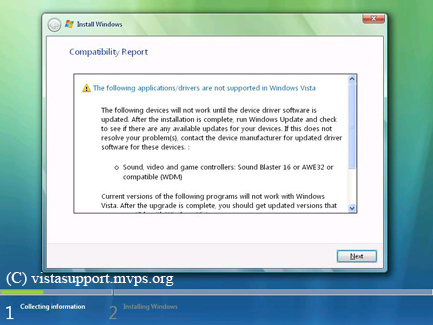 Look carefully through this report to see if you have any compatibility issues. Once satisfied you can Click the Next button. 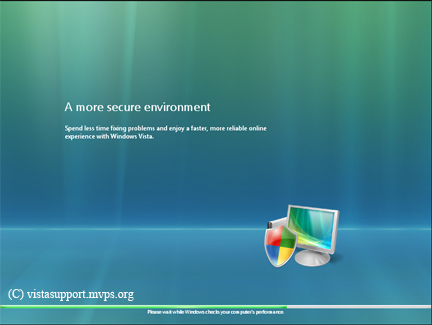 12/ The Upgrading Windows screen will now appear. You should be aware that your upgrade may take several hours to complete. 13/ As the upgrade progresses your system will periodically re-start. 14/ As your PC re-starts a black screen will appear with the legend Press Any Key to Boot From CD or DVD.DO NOT under any circumstances press any key. To do so will abort the upgrade and the sequence will start all over again. 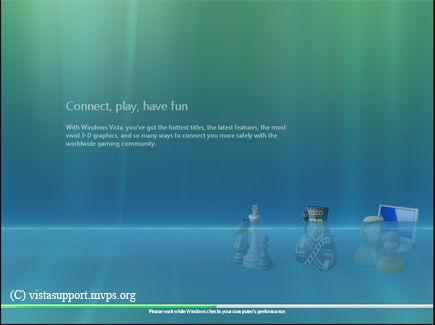 15/ The next screen shows the Microsoft Copyright and a Small progress bar. 16/ After a few moments a Blue Please Wait screen appears. 17/ A few moments later the Upgrading Windows screen re-appears. 18/ Next the Upgrading Windows screen show the progress of the upgrade. 19/ After a while your PC will again re-start. 20/ On re-starting the Black screen appears again with the legend Press Any Key To Boot from CD or DVD. Again DO NOT press any key. 21/ The Microsoft Copyright and Small progress bar appears again. 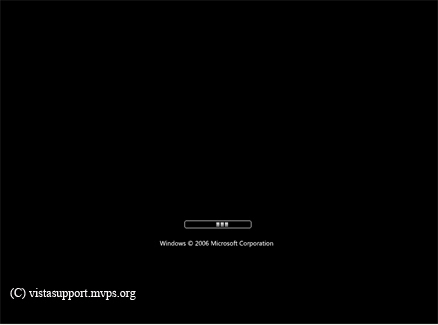 22/ The next screen asks you to Wait while windows prepares to start for the first time the progress of this operation can be seen as a series of dots progressing from left to right on the screen. Again this operation may take some time, so be patient. 23/ When the Preparation sequence has finished a Blue Please wait screen will appear. 24/ After a few moments the Upgrading Windows progress information window returns. At this stage it should be showing Completing Upgrade. Once again this operation may take some time to complete. 25/ Once the Completing Upgrade operation has finished, your PC will re-start again. 26/ If on re-start the Press Any Key To Boot from CD or DVD screen appears remember DO NOT press any key. 27/ Again the Microsoft Copyright and Progress bar appears. 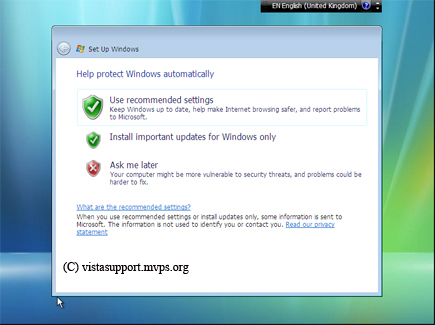 28/ The next screen ask you to Help Protect Windows. Select the Use recommended settings option. 29/ Next you need to review your time zone. if you need to make any alterations do so before pressing the Next button. 30/ The next screen say's Thank You. At this point Press the Start Button on the Thank you screen. 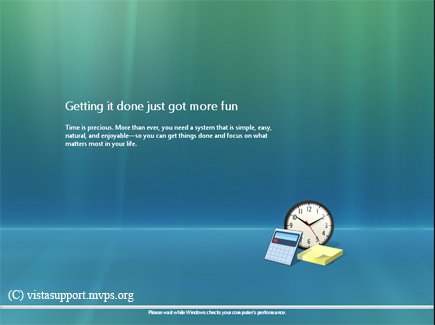 31/ A message will now appear asking you to Please wait while Windows checks performance. 32/ During the checking of performance a series of screens will appear starting with Getting it done just got more fun. 33/ Next the screen will change to Connect and communicate like never before. 34/ Next comes Turn everyday moments into lifetime memories. 35/ Then Connect, Play, have fun. 36/ Followed by Power to find everything. 37/ And finally, A more secure environment. 39/ After the Performance check has been completed you will see the Vista logo. 40/ If your operating system was previously Password protected, the Log On screen will now appear. Type in your Password and Click OK. 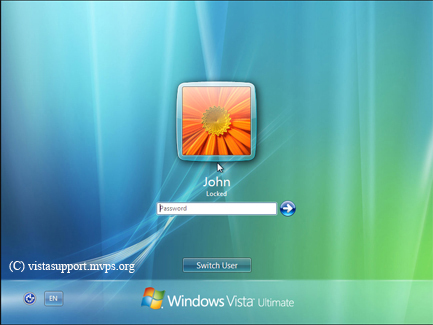 If your PC wasn't previously password protected Vista should boot directly to the desktop. 41/ A Welcome Screen now appears. 42/ After a few moments the screen changes to Preparing your desktop. This may take a few minutes to complete. 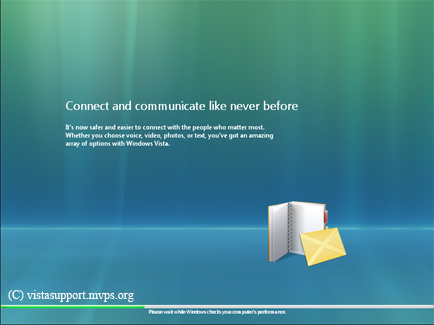 43/ Finally the Windows Vista welcome Screen appears. Your upgrade has now been completed!